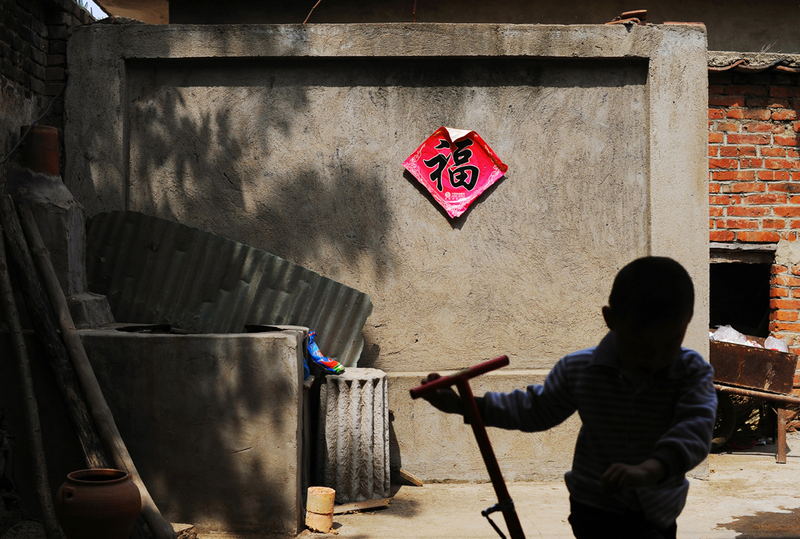 Li Chuan-hua’s son Li Jia-yi (5), plays around with his bike. The house gate is decorated with "Good luck" sign in Chinese. Lin Yi-City Shandong Province, China.